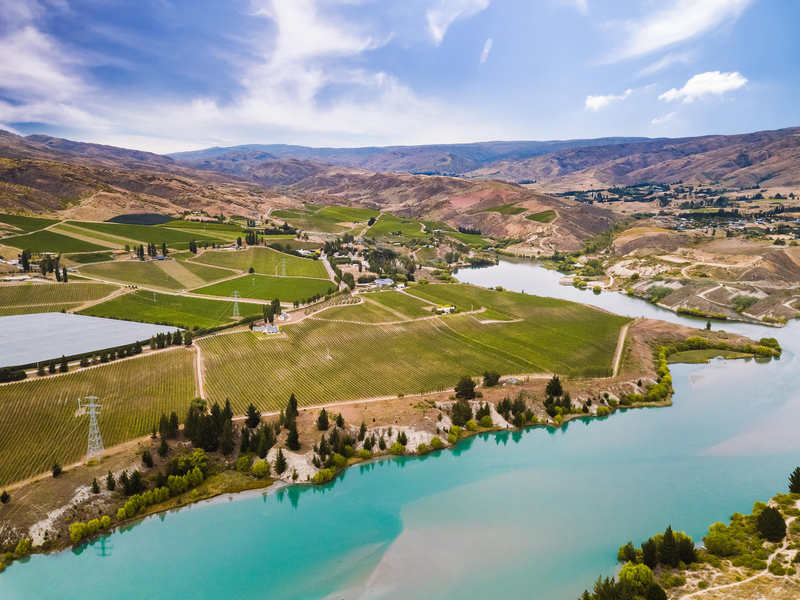 One of Central Otago’s most iconic and renowned vineyards, Carrick, is on the market. The award-winning, certified-organic vineyard, winery, cellar door and 70-seat restaurant in Bannockburn is for sale by tender via premium real estate brand New Zealand Sotheby’s International Realty. It is a reluctant sale by Auckland-based vendor Elizabeth Zhong, who has decided to pursue other business interests. Carrick overlooks the spectacular Bannockburn Inlet, complete with elevated sweeping panoramic views and is a very popular venue for functions and private events. It is situated on approximately 34 hectares – 24ha of which is planted – and produces award-winning Pinot Noir, Pinot Gris, Chardonnay, Riesling and Sauvignon Blanc wines, many of which are noted for their fruit expression and clarity. The property features several dwellings, including three luxury residences that can be further developed for guest accommodation, as well as a cellar, winery and storage facility, offices and a restaurant known for healthy but sophisticated food combined with their ranges of wines. There is also potential for further plantings on the property. Carrick has established strong business relationships with national and international distributors and has established important distribution ties with China and other countries throughout Asia. New Zealand Sotheby’s International Realty senior associate and vineyard sales specialist David Penrose says that the Carrick Vineyard and Winery will have significant appeal amongst potential buyers nationally and internationally. “Carrick is the jewel in the crown in Bannockburn – it is simply a stunning vineyard that produces globally-renowned organic wine. It is definitely a unique opportunity to be able to secure a vineyard of this size, with such potential across so many aspects of the business,” he says. Tenders close at 4pm on March 29, 2019. The listing can be viewed here. Images of the property can be downloaded here. New Zealand Sotheby’s International Realty is a specialist agency that focuses on the sale of premium property through quality marketing and global networking. Founded in 2005 by Mark Harris and Julian Brown, the NZ branch of the global company has 17 offices nationwide – Parnell and Takapuna in Auckland, Waiheke Island, Matakana, Warkworth, Bay of Islands, Hawke’s Bay, Taupo, Rotorua, Wairarapa, Wellington, Nelson, Marlborough, Wanaka, Arrowtown and its head office in Queenstown. It is part of Sotheby’s International Realty – the world’s leading luxury real estate company – with a global network of approximately 960 offices and more than 22,000 affiliated independent sales associates throughout 72 countries. It is through this unparalleled luxury network that NZSIR is able to access and market properties on an international level.